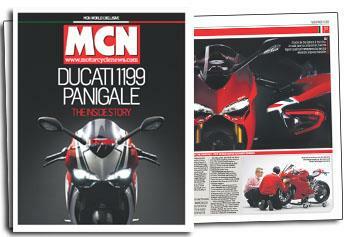 In this week's issue of MCN, on sale Wednesday November 9, MCN has all the details on the new Ducati 1199 Panigale, in a free 24-page supplement. 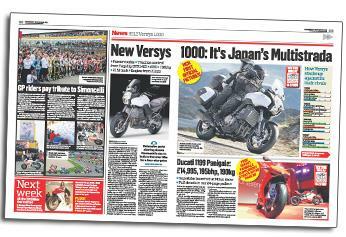 We detail the bike's development process from an initial sketch to the finished motorcycle unveiled at the Milan Show. 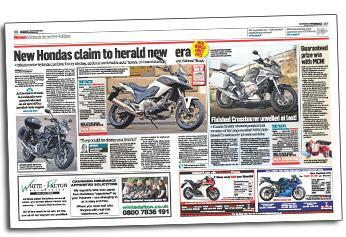 Plus 15 new bikes inside, including the Kawasaki Versys 1000, Honda Crosstourer and KTM Duke 690. Kawasaki has confirmed the existence of the Versys 1000 and revealed it will come complete with switchable power modes, traction control, and ABS. Honda has unveiled two bike/scooter hybrids - the NC700X and NC700S - which feature switchable auto gearboxes, onboard storage and claimed 78mpg. 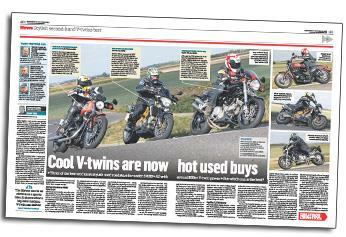 Three of the best and most stylish used V-twin roadsters can now be had for under £4000, but which one is the best? 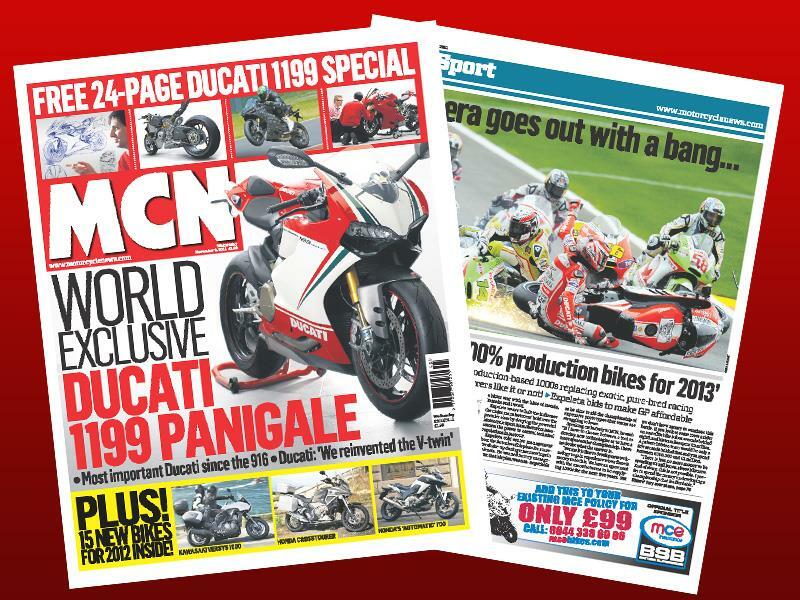 Our 24-page special Panigale supplement – produced in great secrecy in the past few weeks based on factory visits, access to exclusive material and interviews with all the key players - is free in this week's MCN. 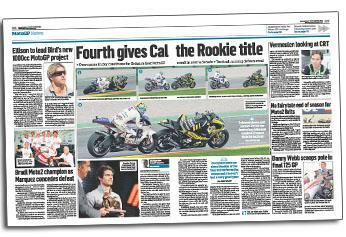 Cal Crutchlow claimed Britain's best MotoGP result for over a decade in Valencia after storming to a career best fourth place to clinch the Rookie of the Year title in dramatic fashion. 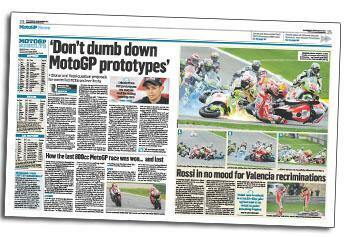 World champion Casey Stoner could quit MotoGP if exotic prototypes are replaced by highly-tuned production models with standard electronics in 2013.